For many marketers and business owners, the first thing that comes to mind when promoting online stores is the Google organic search page. Let's take a look, below, at Google's search results page for the keyphrase "buy iPhone 5s." 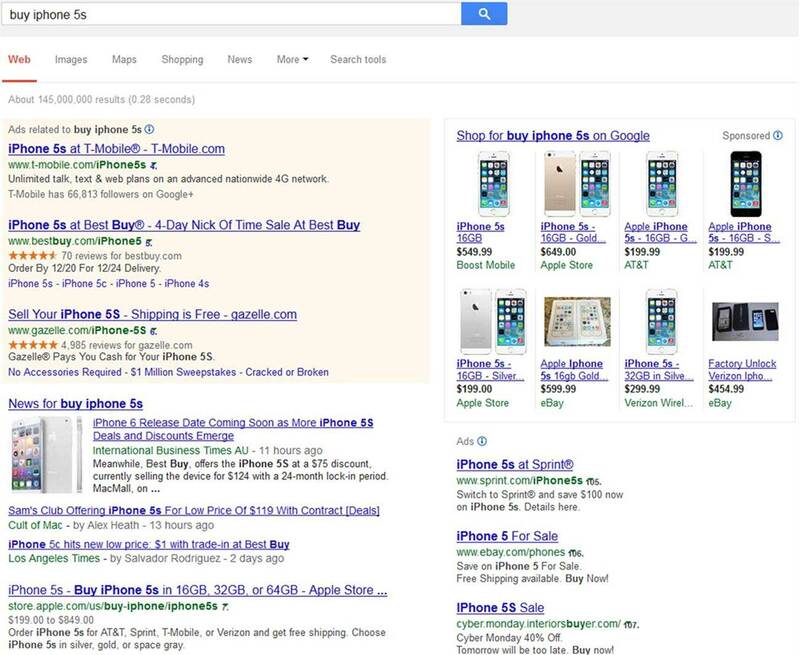 So what are the chances of selling the iPhone solely by trying to appear on the first page of the search results? All but none. And we have to admit that's a typical situation for many e-commerce sites nowadays. The times when e-commerce marketing was possible merely by search engine optimization have long passed. Now, online stores have access to a great selection of tactics, tools, and channels for e-commerce site promotion. By combining them, you can get optimal results. Let's take a look at what the opportunities are for integrated multichannel marketing for your online store. Roman Viliavin is vice-CEO at online marketing firm Promodo. The moving spirit of the company, he has been working in the field of search engine optimization since 2005.